The 2018 Apple iPhones have been on the market for a while now and there’s plenty for both die-hard tech fans and everyday consumers to get excited about. There are three new iPhones on offer: the mid-range iPhone XS (pronounced ‘Ten S’), the larger iPhone XS Max, and a lower-priced iPhone XR. All three devices will feature iOS 12, and offer faster software, better-than-ever cameras, and world-class design. Read on for all the info on each new iPhone, as well as pricing and availability details in Australia. The XS is bringing class back to the iPhone, featuring a surgical-grade stainless steel design, beautiful gold finish, and an edge-to-edge screen size of 5.8 inches. The iPhone XS is the ‘just right’ option for buyers who don’t need a phablet-sized device, but want a vibrant OLED display with a premium body: the screen features a gorgeous Super Retina display with 458 pixels-per-inch, and an ultra-durable glass design. This means you’ll get the highest quality images found on an iPhone to date, and an overall bigger display size than the iPhone 8 Plus. As with the iPhone X, the home button is out – simply swipe upwards from the base of the display to be taken to your home screen. Forget fingerprint scanning: a newer, more powerful version of Face ID uses the XS’ True Depth camera to unlock your device faster than ever, offering users the most secure facial recognition authentication ever found on a smartphone. Newer advanced machine learning means your iPhone can now recognise changes in appearance – including wearing glasses and hats – and can adapt accordingly, making it even easier to access apps, accounts and even ApplePay with just your face. Obsessed with iPhone-tography? The iPhone XS series comes with a dual camera system in the back, with both a 12-megapixel wide angle camera and a 12-megapixel telephoto lens and an improved True Tone flash. These cameras combine with the new image signal processor and CPU to give users more detailed, true-to-life pictures and colours, with ultra-fast processing and practically zero shutter lag. In front, the 7-megapixel forward-facing camera offers better Portrait Mode control, using facial landmarking and a new ability to adjust depth of field, even after your photo has been taken. 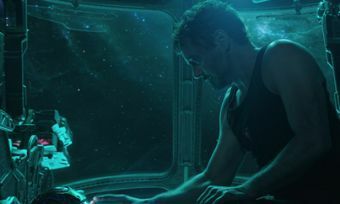 All of this is powered by Apple’s next-generation A12 Bionic chip. The first 7-nanometer chip in an iPhone, the A12 offers faster performance, real-time machine learning, and more efficient processing: combined with the XS’ new battery, users can expect around 30 minutes more daily battery life than offered by the iPhone X. The new chip also means you’ll get enhanced augmented reality features, amazing gaming and graphics, and an overall better iPhone experience – better visuals, better sound, and better multi-tasking. The new XS also comes with increased water and dust resistance. With an IP68 rating, each new iPhone can now be safely submerged in up to two metres of water for 30 minutes, so your device is splash-proof, rain-proof, and pushed-in-the-pool-proof. The XS also will also (finally!) offer dual SIM capabilities, so you’ll be able to combine your work and home numbers on one iPhone, switch between two mobile plans, or easily add an overseas SIM when travelling. If you’re the ‘go big or go home’ type, the super-sized iPhone XS Max comes with all the features listed above, plus the biggest display ever included on an Apple smartphone: an impressive 6.5 inches. You’ll get the same cutting-edge A12 Bionic chip, dual rear cameras, and 7-megapixel front camera, with storage sizes up to 512GB (or around 200,000 photos). Despite its bigger size, the XS Max offers an overall more efficient performance than last year’s flagship iPhone X. Apple is touting a battery life of up to 90 minutes more each day than the X, but all three new iPhones feature wireless charging compatibility for easy top-ups on busy days. The iPhone XS Max is available in 64GB, 256GB, and 512GB models in the same three colours as the XS, plans from Telstra, Vodafone and Optus with prices listed below. As predicted, Apple has also released a somewhat more affordable 2018 iPhone: the iPhone XR. 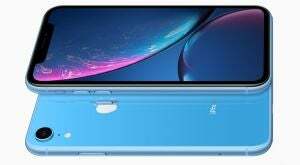 Encased in aerospace-grade aluminium, and available in six colour finishes, the XR will feature an edge-to-edge LCD display that Apple is touting as ‘the most advanced LCD ever in a smartphone’. Called Liquid Retina, the XR’s display measures at 6.1-inches diagonally and offers more screen size than the iPhone 8 Plus, eliminating the pesky home button and keeping it in line with the higher-end XS series. Although the XR features a slightly cheaper hardware and screen design, its internals are almost on par with the pricier XS. XR owners will enjoy Tap To Wake, Face ID, the new A12 Bionic chip and real-time machine learning. Camera-wise, you’ll find the same 12-megapixel wide-angle rear shooter included in the XS and XS Max, with a next-generation sensor and True Depth; switch to the front camera, and your selfies will go next-level with the inclusion of Apple’s Portrait Mode and Portrait Lighting. Battery-wise, the iPhone XR is promised to deliver up to 90 minutes of juice each day when compared to the iPhone 8 Plus. The device is also IP67 water and dust resistant – not quite as highly rated as the XS, but still more than enough to protect against run-of-the-mill wear and tear. 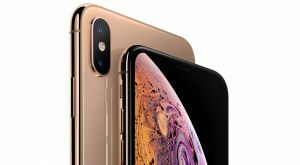 While all three new devices are available to buy at full price from Apple —plus retailers such as JB Hi-Fi and Harvey Norman— you’re also able to pick up each iPhone on a mobile or payment plan from the three big telcos with device payments varying depending on the device and storage size. If you are planning to forgo the telcos and buy your new iPhone unlocked at full price, you’ll need a good value SIM-only plan. Below are some of the published plans and deals available on the Canstar Blue database, some of which include a link to the retailer’s website for further details. These are sponsored products; more plans are available by using our comparison tool.